Last fall Google made a new push into hardware. Sure, we're talking about the Pixel and Pixel XL smartphones, but let's not forget that the company also launched the Home smart speaker and its own wireless mesh networking solution. Google Home and Google Wifi are each priced at $129 a pop at the moment. Yet Google is apparently looking into combining the two. That's right, the next Google Home may come with a built-in mesh Wi-Fi router. That is, if a new report allegedly originating at "a person with knowledge of the project" pans out. 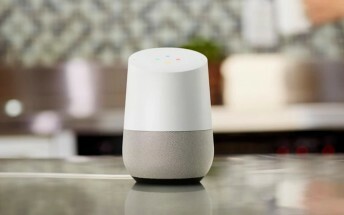 You could also call the new product a Google Wifi with built-in Assistant. And a speaker, of course. There aren't any other details to speak of, but if this ever becomes reality then you should obviously expect it to cost more than a Google Home or Wifi bought separately. That said, doubling the cost wouldn't make sense, so we assume something like $199 is the most likely price point for such a device. Whether people will pony up that amount for the added convenience of having a virtual assistant in their router (or a router inside a smart speaker) remains to be seen.